Swipe to move the tiles, Each time 2 tiles with the same number touch, the numbers are added and the two tiles merge. Produce the magic number of 2048. Good luck! Explore deep challenge for your mind! HOW TO PLAY? 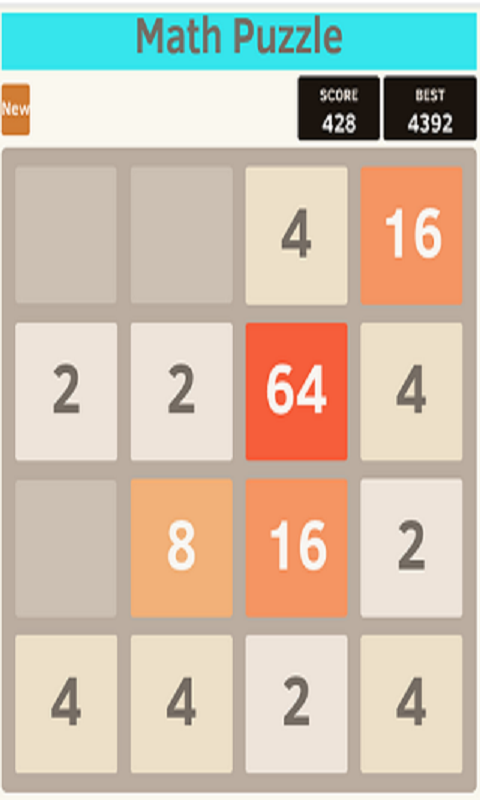 Swipe to move the tiles, when two tiles with the same number touch, they merge into one. 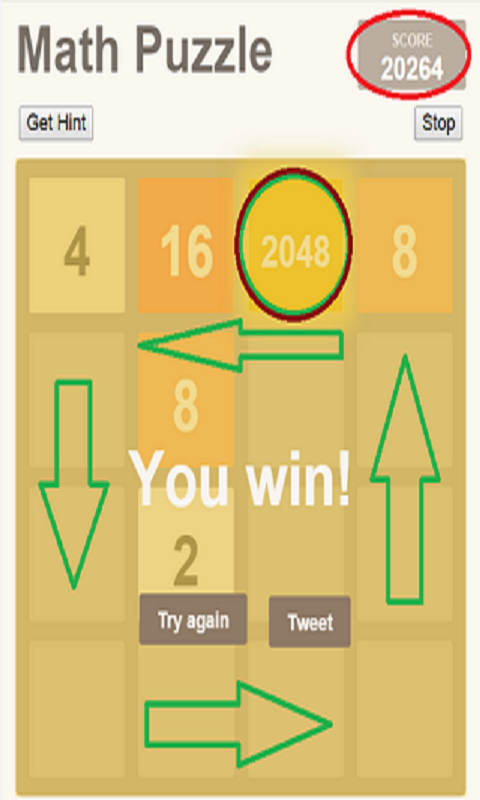 When a 2048 tile is created, the player wins! 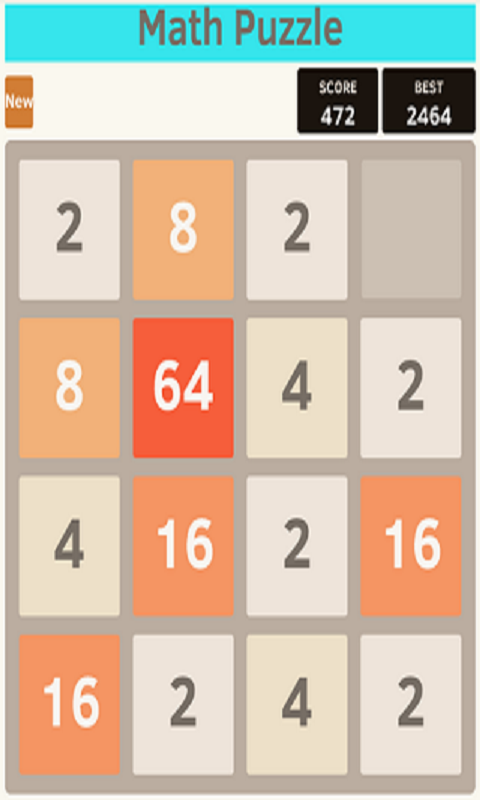 8 .. 16 ... 1024 .. 2048 Extremely addictive game 2048, which was originally developed by Gabriele Cirulli in now in Android with online leaderboard. 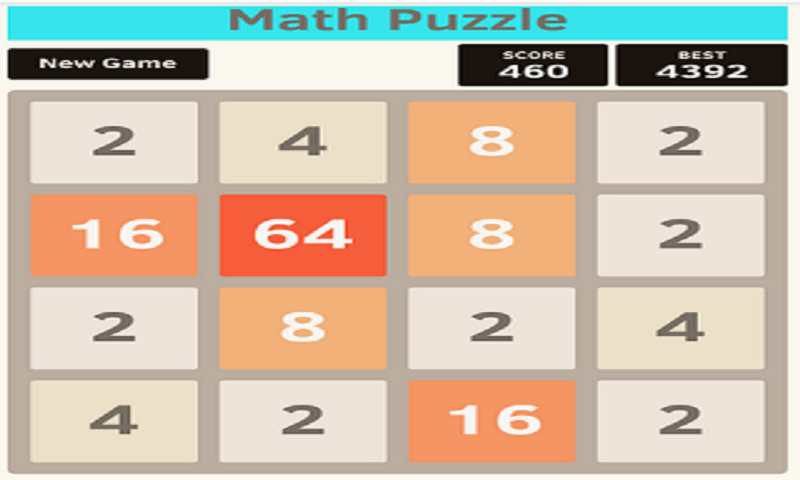 The objective of the game is to get the number 2048 using additions of the number two and its multiples. You will have a grid of 16 tiles. Two numbers will be given: usually two number twos, maybe number four. Move up or down, left or right trying to join two equal numbers. When two equal numbers are in touch, they will add up. A scoreboard on the upper-right keeps track of the user's score. 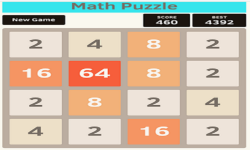 Score starts at zero, and is incremented whenever two tiles combine, by the value of the new tile.